The webmasters of Backlinko and Clicksteam along with their data partners recently examined one million google search results. They analyzed backlink data, content and even site speed. Based on those results they discovered certain characteristics of pages correlated with higher rankings. Here are the ten most important facts they discovered about current ranking factors. Backlinks are still the most important ranking factor. It appears that the number of domains linking correlated very highly with higher rankings. A sites overall link authority also correlates with higher rankings. Content that was topically relevant significantly did better than content that did not cover subject matter in depth. It also looks like longer content ranks higher. The average length of the google first page contained 1890 words. HTTPS also correlated with higher first page results. Recently Google confirmed that HTTPS is now a ranking signal. Content with images outranked content without images. There was a small correlation between the title tag of the page containing keywords and higher rankings. Site load speeds are also an important ranking factor. Faster loading sites ranked much higher than slower loading pages. Exact match anchor text still has a very strong influence on rankings. It also appears that a lower bounce rate is associated with higher rankings. Google recognizes when users have come back to the search results after visiting one of the results. 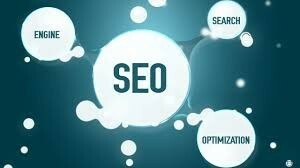 Using the above as a guideline, you could plan out a content and SEO strategy for better Google rankings.